> Articles, Stories From Africa, Wildlife. > Feral Cat – street art. Martial Eagle declineYellow-billed Kite – a daring aerial pirate. 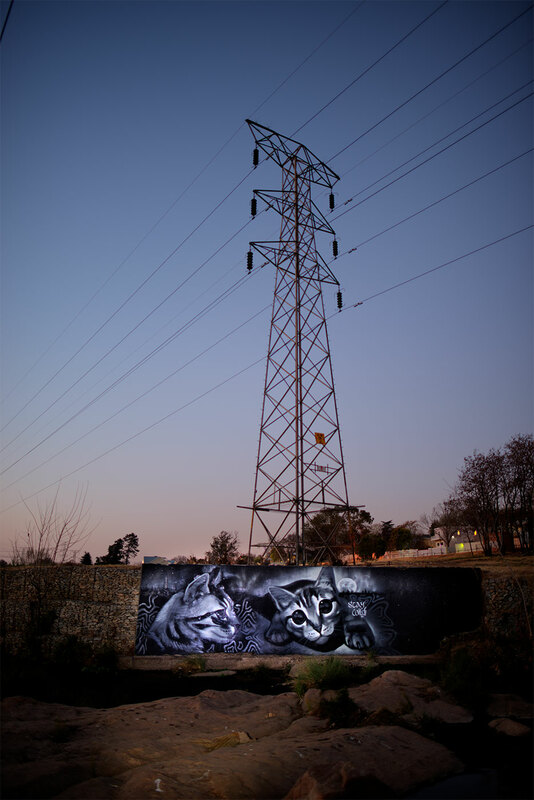 Feral cat, River Art next to Braamfontein spruit. 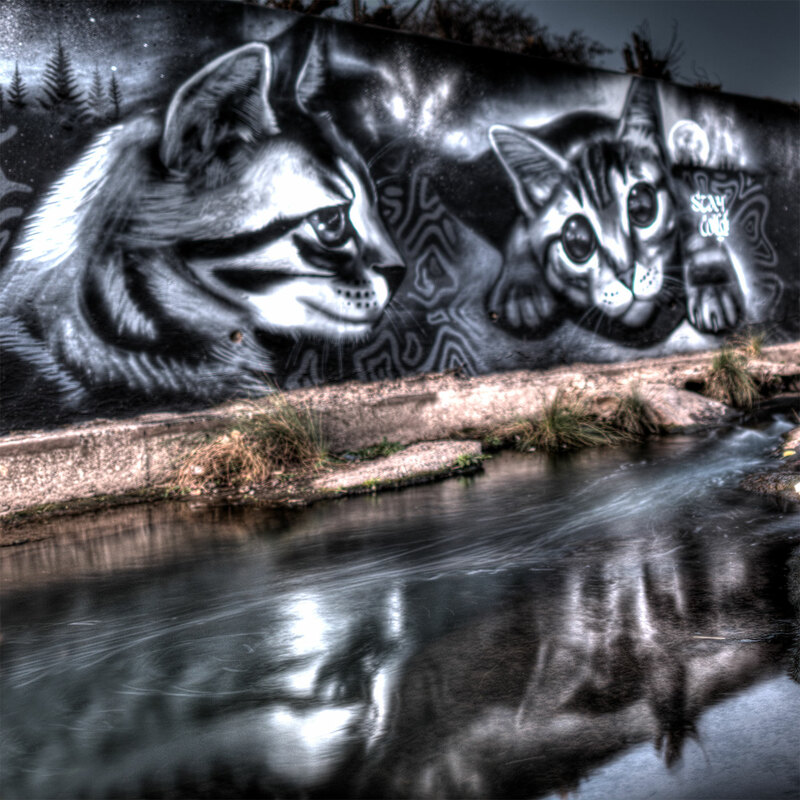 Late one afternoon I went to the Braamfontein Spruit in Johannesburg (spruit is a small river) to photograph these two cats which have been painted on a wall next to the flowing water. The artist has signed them ‘Stay wild’. I am not sure what his intention is with this name, but I took it as a salute to the feral cats that hunt this river at night. Another view of Feral Cat, River Art. peared out of the dark. Three came off the street, another two from behind a large tree. They gathered on a flat bit of grass, spoke briefly, and then disappeared into the hollows and baks of the river. I took the picture and decided it was time to leave as it was dark and a bit spooky. I crested the bank and froze. Twenty meters away, a large cat sat in the path with its back to me. He was mostly dark-gray, with black along the spine and dark vertical stripes. I crouched and lifted my camera, but he sensed the change or a shadow moved. He turned briefly, scowled, and then glided down a slope and into some long grass. I say he, as he was big, unusually big. Maybe, he lived in a nearby house and only hunted the river bank at night – half-wild; but I doubt it, the way he moved, the snarl, and the eyes that reflected my torch light looked full-on wild: feral. An outlaw!